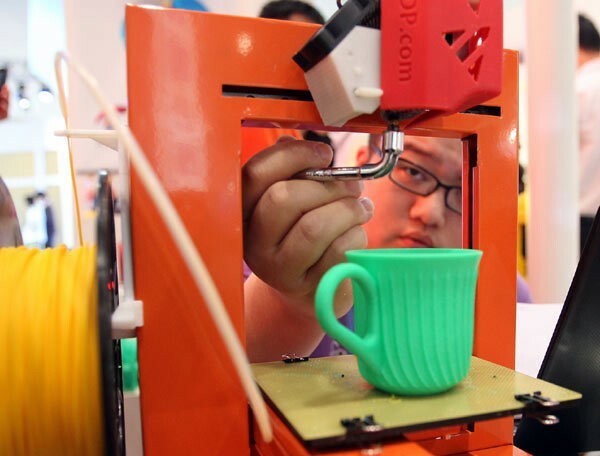 PLA plastic, a commonly used 3D printing material, could be on the verge of becoming more versatile thanks to research conducted by Taiwan’s Industrial Technology Research Institute (ITRI). Derived from renewable resources like cornstarch and sugarcane, PLA plastic is easy to produce in quantity and has become one of the cornerstone plastics used in both consumer grade 3D printers and the packaging industry. While the bio-plastic has found a number of uses, its main flaw is its inability to resist temperature. In fact, PLA plastics will begin to lose their shape when exposed to temperatures in excess of 50 °C (122 °F) and begin to show structural weakness even before reaching that point. This property of PLA has posed a huge problem for consumer grade 3D printer users as their materials aren’t likely to contain temperature stabilizing agents often added to industrial grade PLA plastics. Fortunately, all of that may have just changed as a team at ITRI has produced a PLA blend that can resist temperatures up to 100 °C (212 °F). Key to the new consumer-grade PLA is a non-toxic nucleating agent that allows the plastic to crystalize and congeal faster, a property that might also bring greater accuracy to PLA printed parts. In addition to its improved thermophysical properties, the ITRI’s PLA can be manufactured using either cereal grains or a lactic acid. By creating a non-foodstuff sourced bio-plastic ITRI may have insulated its material from price spikes associated with world food prices. With this new PLA blend 3D printing enthusiasts may finally be able to begin printing their own food-grade containers, electronic circuit boards, solar panel housings and other objects that require relatively high heat tolerance and endurance.